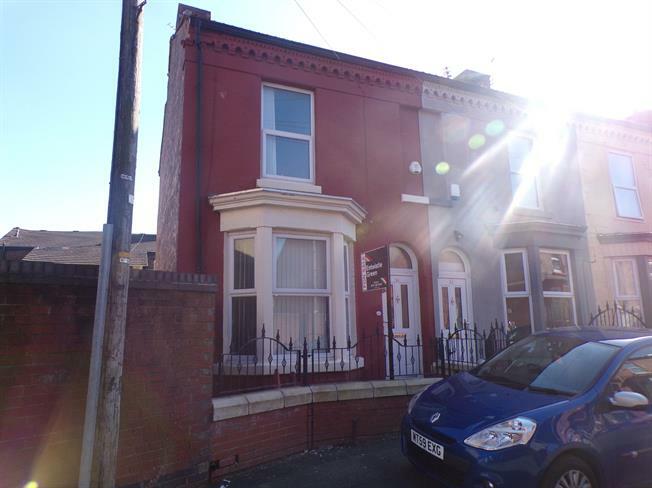 3 Bedroom Terraced House For Sale in Liverpool for Offers in excess of £130,000. Entwistle green are pleased to welcome to the sales market this three bedroom terrace with no onward chain that will offer you a fantastic return on your investment. In brief, the accommodation comprises, an entrance hall, bedroom, living room and kitchen to the ground floor, bedrooms two and three and a bathroom on the first floor and attic space to develop further bedrooms. The property is also fully double glazed and central heated. Please call 0151 220 4443 for more information. Double glazed uPVC window. Granite effect and roll edge work surfaces, built-in, wall, base, wall and base and drawer units, stainless steel sink and single sink with drainer, integrated, electric oven, gas hob. Double glazed uPVC window. Touch flush, panelled bath with mixer tap, pedestal sink with mixer tap.